Since the excavation of the Channel Tunnel, London is only two hours from Paris on the Eurostar. This makes it possible to offer an excursion to the English capital from Paris, to discover the city’s most beautiful tourist treasures. Buckingham Palace, residence of the Queen of England, Elizabeth II, is a magnificent neoclassical landmark. Many tourists visit the palace to witness the pomp and grandeur. The changing of the Royal Guard is one of the must-see tourist attractions in London. 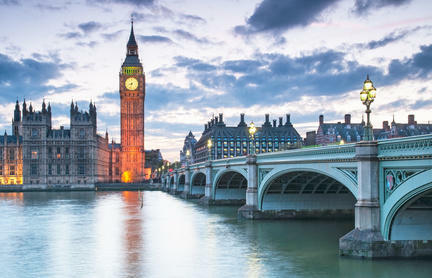 Big Ben, a clock tower in the Palace of Westminister built in the 19th century, dominates the city with its graceful silhouette, and was inspired by the neogothic style. It is said to be one of the most photographed buildings in London. Tower Bridge, which is also very photogenic and telegenic, has spanned the Thames since the end of the 19th century. The neogothic style of this steel-frame suspension bridge greatly resembles that of its big sister Big Ben. Westminster Abbey is an abbey whose history dates back to medieval times and is one of the most beautiful landmarks of the city. The Tower of London is an ancient castle and fortress from the Middle Ages known today for housing the Crown Jewels. Numerous other attractions await tourist in London. For example, you can ride on the London Eye, a large ferris wheel that offers a panoramic view of the entire city. The trendy neighborhoods of Camden and Soho, the vibrant streets of Notting Hill and the facades of the opulent houses of Pembridge Square are some of the hidden gems of London. Don’t miss the British Museum, a veritable institution across the Channel which has nothing to envy of the Louvre with respect to the quality and richness of its collections. 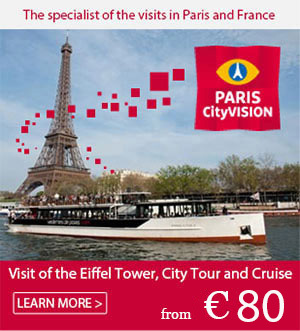 Visit London from Paris with PARISCityVISION! If there is a must-see tourist attraction in Brussels, it has to be the Manneken Pis, whose notoriety is equal to many Parisian landmarks. But this small bronze statue from the 17th century, which depicts a little boy urinating,is not the only point of interest in the city. 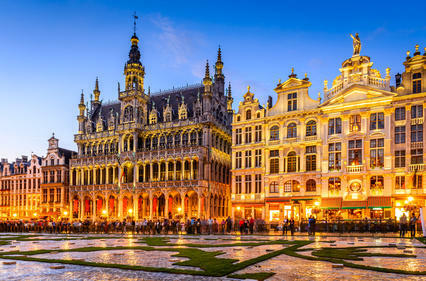 The Grand-Place of Brussels, surrounded by the elegant facades of the guild-houses dating back to the end of the Middle Ages, the City Hall and the King’s House, is at the epicenter of life in Brussels. Many events take place here throughout the year, creating a vibrant atmosphere conducive to taking a break and watching the spectacle on the terraces of the many cafes in the square. The Royal Palace of Brussels is surrounded by a treed park, the perfect place to take a stroll in the summer. If you are a lover of culture, you can go to the Parc du Cinquantenaire where you’ll find the Royal Museum of the Armed Forces and Military History, the Cinquantenaire Art and History Museum and Autoworld, that exhibits a collection of more than 250 rare automobiles. There are also many other amazing or unique attractions to take in, like the Magritte Museum, the Museum of the City of Brussels or the Belgian Comic Strip Center. North of the city, Osseghem Laeken Park offers an oasis of greenery just a short walk from the former pavilions of the 1958 World Fair. In fact, adjacent to the park, you can see the Atomium, a monumental metal construction that represents an iron atom. To finish off your eventful day, enjoy some craft beer, in moderation, while nibbling on traditional chocolate whose secret recipe is known only by the Belgians. Visit Brussels from Paris with PARISCityVISION! Located in the north of Belgium, the city of Bruges is renowned for it cultural heritage and its serene living environment. Many canals crisscross the city and, because of this beautiful setting and romantic environment, Bruges has been nicknamed the Venice of the North. The Belfry Tower of Bruges watches over the Place du Marché, bordered by large neogothic buildings, where a great cultural effervescence still reigns. St. Salvator’s Cathedral, the oldest church in Bruges, dominates the rooftops of the city with its massive and slender silhouette. Many museums also welcome tourists. The Freitmuseum (Fries Museum), Diamond Museum, Gruuthse Museum, along with many other distinctive and unique establishments will amaze you with their unique collections. Discover the canals of the city during a guided cruise with commentary, which will allow you to see another side of Bruges. Take the time to stroll down the streets of the historic center of Bruges: the most beautiful attraction of the city is perhaps its special atmosphere, which you can only experience and soak in when you leave the main tourist sites and enter into the alleyways and side roads. 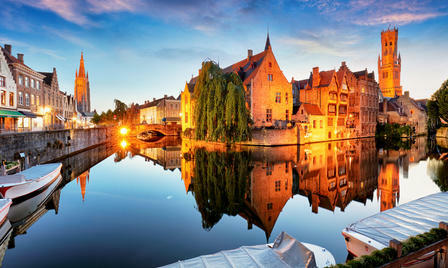 Visit Bruges fom Paris with PARISCityVISION!